Horizon LT-321, Large diaphragm condenser tube microphone from Lauten Audio. Lauten Audio Makes European Debut At Musikmesse 2008. USA-based Lauten Audio will make its European debut at Musikmesse Frankfurt at Hall 5.1, Walkway D, Stand 50. On display will be the company's studio microphone line including their highly successful Horizon tube microphone and three new models. "Making our European debut at Musikmesse is very exciting for us," said Brian Loudenslager, Founder of Lauten Audio. "2007 was a very challenging and productive year for us. We worked very hard to perfect our new models and we are extremely pleased with the results. With our new partnerships with Analog Audio GmbH in Germany, The Audio Professionals in the UK, and the recent addition of Dr. Charles Chen as the Chief Engineer, we are poised for a successful introduction of the brand to the European Market. Musikmesse is the perfect venue to kick off the effort. We hope to demonstrate to everyone that Lauten Audio is a unique and thoughtful designer of professional microphones and a brand worthy of their attention." The Horizon tube microphone is Lauten Audio's first commercially available product. Designed as a work-horse, the microphone features a solid build quality, NOS military grade tube, custom wound output transformer and premium high-resolution electronics. This microphone has found its home on everything from vocals and voice-overs to drums, electric guitar amplifiers, acoustic guitar, piano and fiddle. It is also known to be used for live sound micing. The Horizon has been highly successful in the US and other parts of the world receiving very positive customer feedback and publication reviews. ST-221 is a small diaphragm tube microphone that will be packaged in pairs. These microphones feature interchangeable cardioid and omnidirectional capsules, NOS military grade vacuum tubes and premium high-resolution electronics. The ST-221 combines the characteristics of the small diaphragm and the tube, making it an ideal choice for recording instruments. The highly anticipated LT-381 features newly designed large dual-diaphragm capsule, NOS military grade pentode input and transformer-less triode output circuit, and variable omni, cardioid and figure-8 polar patterns. The LT-381 is designed to be a high-performance vocal microphone that produces incredibly full and detailed recordings. It is an exquisitely crafted work-of-art and a remarkable fusion of form and function. 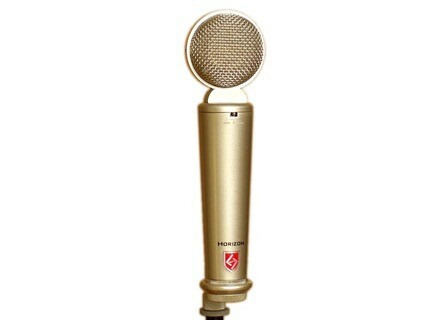 The FC-357 is a solid-state multi-pattern large diaphragm condenser microphone. The FC-357 has premium high-resolution electronics and a dual-diaphragm capsule capable of omnidirectional, cardioid and figure-8 polar patterns. This microphone is for recordists looking for very clean and natural sound reproduction. "Each of these models offers a new unique flavor to any studio microphone arsenal, and all of the Lauten Audio studio microphones are designed to compliment each other," said Mr. Loudenslager. "We spend weeks in the studio tweaking each model until we find their sweet spot. We then spend months on production planning because we believe the real challenge is not in producing a few great sounding prototypes, but in reproducing that sound in a final product consistently and efficiently. This is one of our focus areas and key strengths." The new models are expected to ship in the second quarter of 2008. For more information, visit their web site at www.lautenaudio.com. [Musikmesse] Yamaha Audiogram Series The AUDIOGRAM Series bundle together a hardware interface with audio inputs and outputs, software for recording and producing music, and a USB cable for connection to a computer. [Musikmesse] SSL Matrix SSL announces the release of Matrix, their new SuperAnalogue 16 channel, 40 input mixing console at the Frankfurt Musikmesse. [Musikmesse] ADAM A5 and Sub7 Building on the A7, ADAM Audio announces the expansion of the A Series with the new A5 Powered Monitor and the Sub7 Subwoofer.